If you have been testing Android Oreo in the Samsung Beta Program with your Galaxy S8 or Galaxy S8+, your time is almost up. 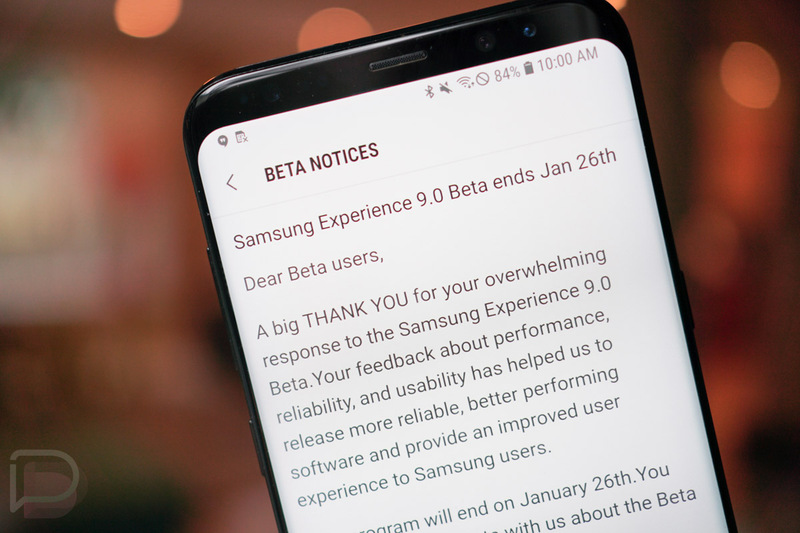 Samsung started notifying users that the Oreo beta for the S8 and S8+ ends on January 26 in the US. That’s tomorrow, guys. This news comes after each device received its 7th and final Oreo beta update last week as builds G950U1UEU2ZRAE (S8) and G955U1UEU2ZRAE (S8+). That update was actually the third in January, so it’s pretty obvious that Samsung was squashing any final bugs with rapid releases as they approach a stable Oreo release. When’s stable Galaxy S8 Oreo update coming? What’s new in Oreo for the Galaxy S8 and S8+? The list is actually quite lengthy, because it does bring with it the Samsung Experience 9.0. We’re talking about new emoji, GIFs, and stickers, as well as an improved keyboard, fast and smarter search results within the phone, color lenses for your screen, access to Dual Messenger for using two accounts from the same messaging app, and more. We’ll let you know when that stable Oreo update is ready.